Presentations for the Chumash Heritage National Marine Sanctuary Proposal are being given by various leaders representing the Northern Chumash Tribal Council (NCTC), the Santa Lucia Chapter of the Sierra Club, the San Luis Obispo Chapter of the Surfrider Foundation, the Marine Sanctuary Alliance, and other local, state, and national grassroots organizations. Presentation at Ecosummit 2014 – Fred Collins, Tribal Administrator for the NCTC, presented the Chumash Heritage National Marine Sanctuary Proposal to the 2014 Ecosummit on Saturday, February 22, 2014 at the Grange Hall in San Luis Obispo, California. KSBY TV presented coverage of Ecosummit 2014 in this video. Ecosummit is the yearly public meeting by The Environmental Center of San Luis Obispo (ECOSLO). ECOSLO strives to create and support resilient, healthy, natural systems and life styles in San Luis Obispo County. The proposed Chumash Heritage National Marine Sanctuary has seven significant core areas of importance. In a national marine sanctuary, a core area is usually an internationally or nationally significant oceanographic and or ecological unit that needs primary protection and becomes the central focus of a sanctuary. Vital ecosystems supporting significant marine life are clear candidates for protection. Nationally significant historical and cultural features are also nominated for protection. 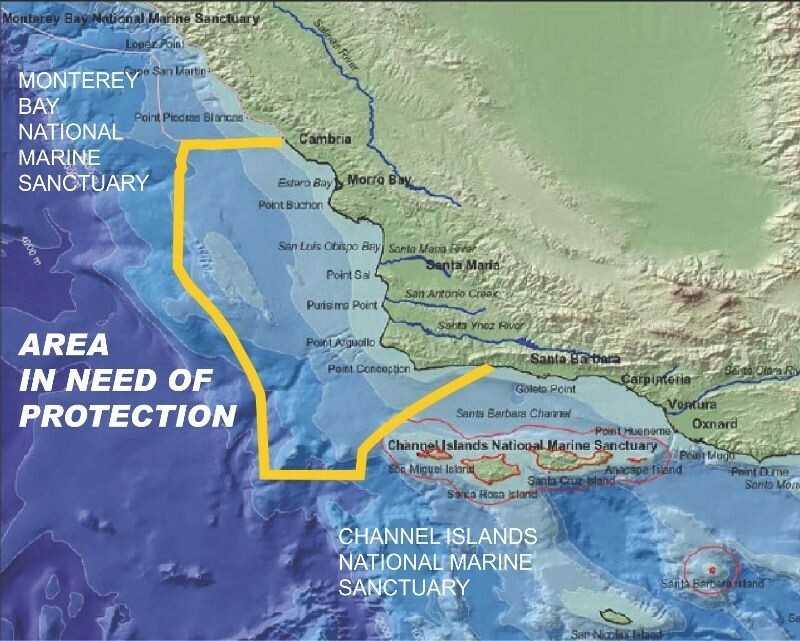 Within the proposed area of the marine sanctuary, Chumash underwater archaeological sites form Core Area 1, which overlaps all core areas and is therefore the main focus of this Chumash Heritage National Marine Sanctuary Proposal. 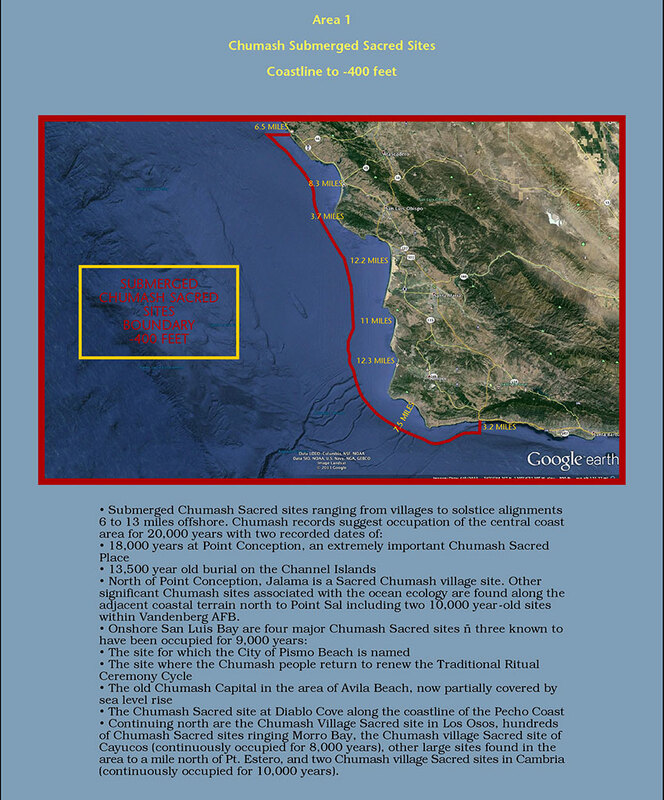 The importance of Chumash Heritage to National Marine Sanctuaries is discussed in our February 2014 SLO Coast Journal Marine Sanctuary article. Chumash Heritage is important to the cultural history of California’s central coast because the Chumash thrived and lived in villages continuously for more than 10,000 years before drastic intervention occurred from outside invaders. Chumash Heritage cultural and historical information is being written by members of the Chumash Nation and will be presented in future articles. This entry was posted in Cultural Resources, Heritage, News, Protection & Preservation, Sacred Sites, Thriveability and tagged slider. Bookmark the permalink.